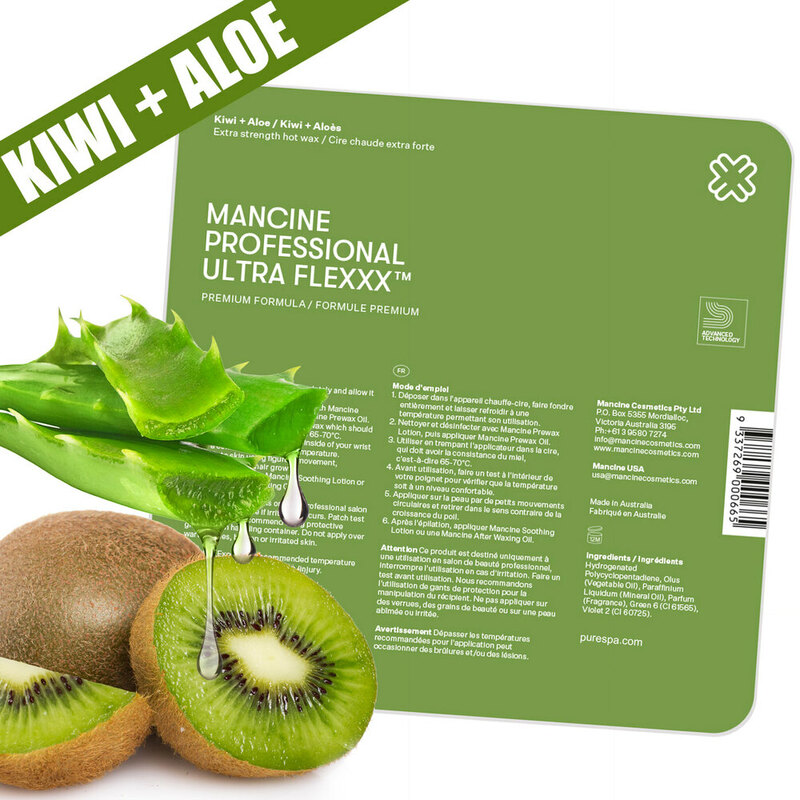 Lately, I have seen a huge increase in our client's ordering Ultra Flexxx Kiwi & Aloe Hard Wax by Mancine! 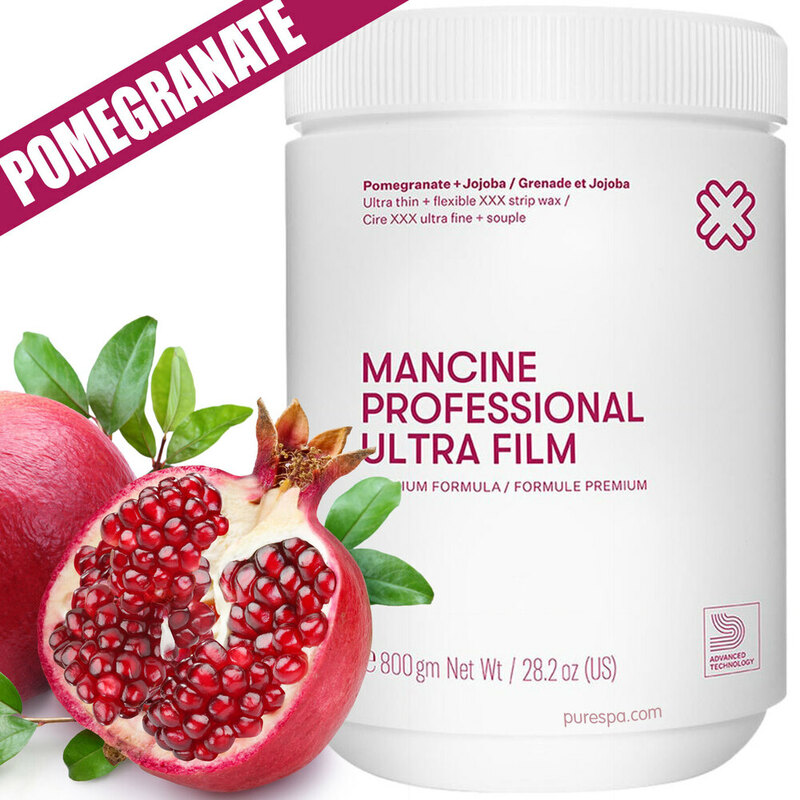 Mancine is made in Australia, and is known for its high quality, at a lower price point! It spreads super thin and dries quickly. This way you are speeding up your services and using less wax. It is pure profit! Kiwi & Aloe Ultra Flexxx is a high performing superior grip wax with a distinct clear light green color. Exceptional in its elasticity and pliability, it glides on smoothly giving no resistance when applying. It is ultra-flexible, has a powerful grip, and perfect for waxing. It will last one and a half times longer than most organic waxes. It is suitable for all skin types. 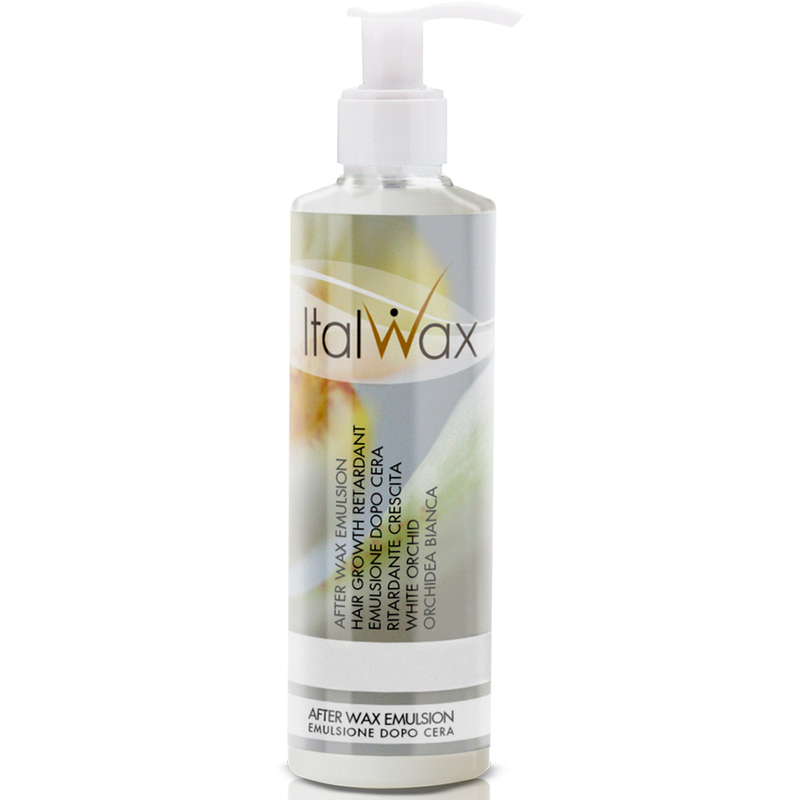 ItalWax is becoming increasingly popular! Anybody who tries their products is impressed. Usually sold in case packs, however, for your convenience, we started carrying individual bags to sample. Good news- we now have their pre and post solutions for sale individually, so now is the time to try them! 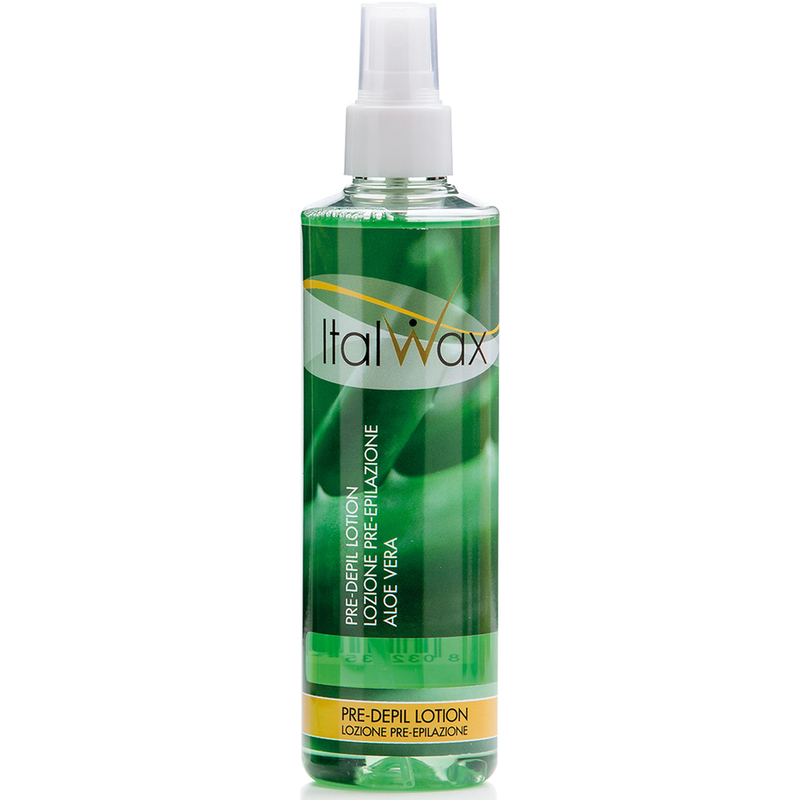 ItalWax Pre-Wax Treatment - Aloe Extract Lotion. Use this skin cleaning solution before ItalWax hairdegreases the skin and lifts hairs, without an over-drying effect. Very economical in use on large areas (legs, arms, back). Contains Aloe Barbadensis leaf extract, Camellia Sinensis leaf extract and has light energizing aroma. Because of the aforementioned enzymatic breakdown of dead skin cells, Aloe Barbadensis extract is an excellent cleansing and detoxifying agent that has the ability to remove dead skin cells and toxins while purifying the pores. 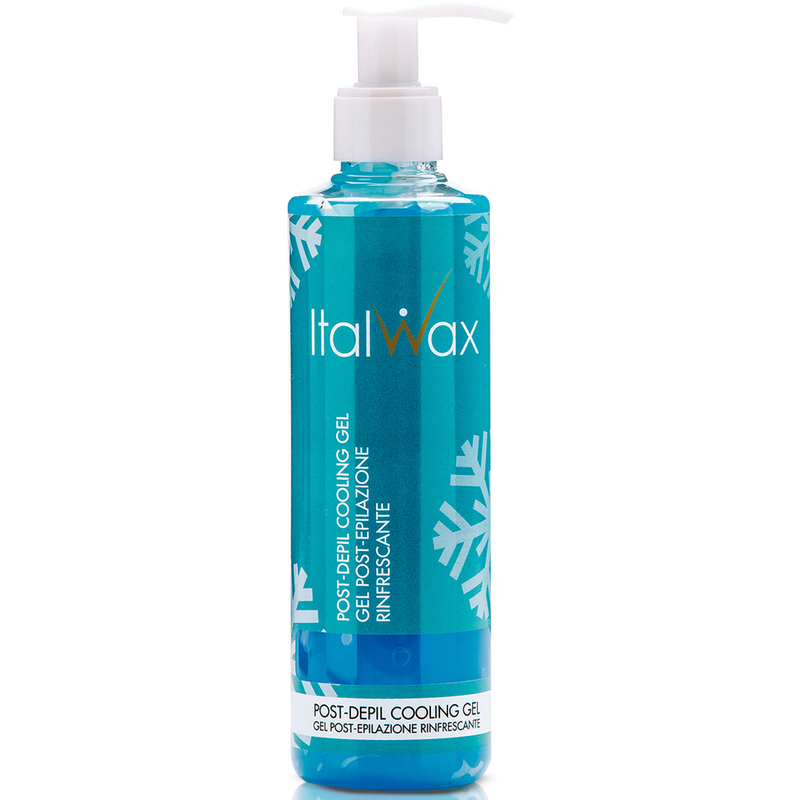 ItalWax After-Wax Treatment - Cooling Gel with Menthol. This water-based gel does not contain oils ItalWax hair removal procedures. Due to the content of menthol, cools nicely and soothes the skin, leaving a smooth and silky feeling. Contains Aloe Barbadensis extract, which soothes the skin and serves as an anti-inflammatory. Aloe extract is also well-known for its burns and wounds healing effect. Cooling gel ItalWax also contains Hamamelis Virginiana (with-hazel) extract, which fights bacteria, helps to repair broken skin and reduces swelling. ItalWax After-Wax Treatment - Hair Growth Moderating Emulsion - White Orchid. Water-based emulsion, light and quickly absorbed. "Decelerine R" natural complex, contained in emulsion's composition, contributes to slow down the hair growth. "Decelerine R" works directly with the matrix cells inside the hair follicle, slowing down the hair growth in an active stage. Hair becomes weaker and thinner. Rich natural oils complex nourishes and moisturizes the skin. Sweet Almond Oil: It's is mild, hypoallergenic oil that can be safely used even on baby skin. Almond oil is naturally endowed with highly potent antioxidant - vitamin E. Regular application of Orchid emulsion can protect the skin from oxidative stress and UV radiation damage, keeping it soft and supple. Aloe Barbadensis Leaf Extract: - It soothes the skin and serve as an anti-inflammatory. Aloe extract is also well-known for its burns and wounds healing effect. Cucumus Melo (Melon) Fruit Extract: Is reach with vitamins A and C and a wide range of various antioxidant compounds. Cucurbita Pero (Pumpkin) Seed extract: A natural supply of vitamin E antioxidant, improving skin tone. It also motivates the production of new cells and repairs existing skin problems. With the existence of zinc and selenium, pumpkin seeds extract upgrade the collagen levels and give the skin extra protection against environmental pollution and harsh UV rays. Tight on space? 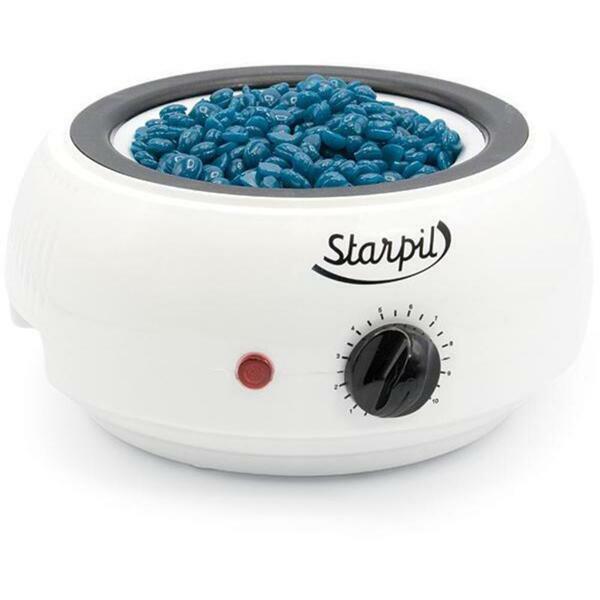 Starpil makes effective, compact, and easy to use wax warmers for you and your business. Do you specialize in lash and brows or simply offer only facial waxing? I introduce you to the Starpil Standard Facial Wax Warmer / Holds 125 Grams - 4.4 oz. 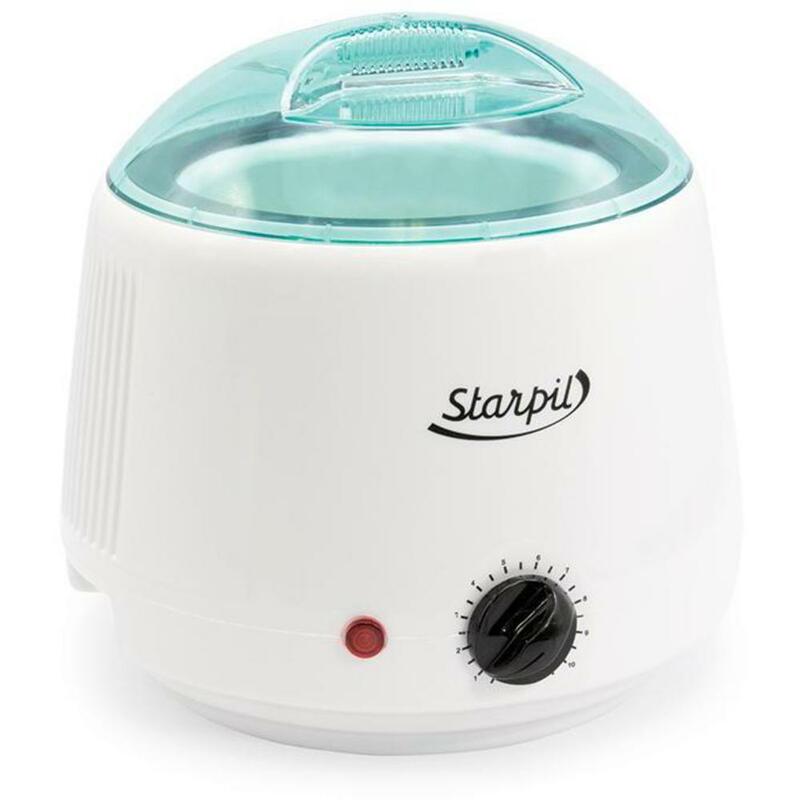 Another option that's great for starting out is Starpil Starter Wax Warmer / Holds 400 mL. - 14 oz. Starpil starter wax warmers are great for waxing small to medium areas of the body. Holds 400 mL. / 14 oz. of loose wax. This warmer features new rapid heat feature with 1-10 heat setting. 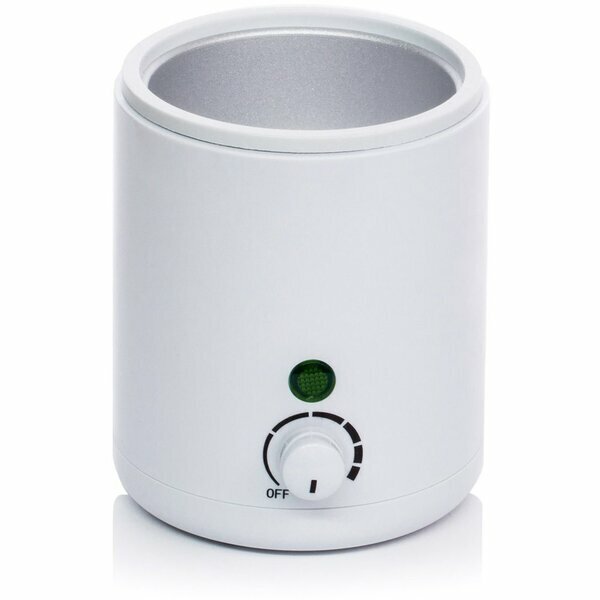 This warmer can be used to heat bulk hard wax tablets and beads or Starpil 500ml soft wax cans. This warmer is tall, and yet still compact. Starpil Starter Tall Wax Warmer / Holds 800 mL. - 27 oz. Starpil starter tall wax warmers are great for waxing larger areas of the body. 800 mL. / 27 oz. loose wax capacity with an aluminum hull. This warmer features new rapid heat feature with 1-10 heat setting. Can be used to heat 27oz of bulk hard wax tablets and beads or Starpil 800ml soft wax cans. Tanning Season is here! Be it for a vacation, prom, wedding season, or just because they are tired of pale winter skin, tanning is BOOMING right now! Clients are ready to rid themselves of dull, lifeless winter skin and prepare for their waxing and tanning services, so body treatments are hot right now. Whether for smoothing, softening, or detoxing - all things body are where its at! What special Spring Treatments are you seeing the most success with this season? 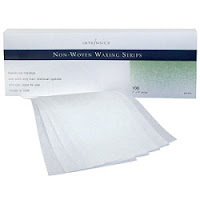 Strips or rolls, from muslin to pellon….Waxing strips come in a wide variety of materials, shapes, and sizes. As a spa owner you may go through purchasing many different types before you find the most cost effective and preferred option by the estheticians and cosmetologists using them. This process can be tiresome and costly. At Pure Spa Direct, we sell so many different types of waxing strips each day, to so many different clients, all with different preferences. (Personally, I prefer hard wax and recommend ditching the strips all together, but...) if you prefer to use strip wax, and are not sure which strips to buy, I am here to help by sharing our best sellers…. **pre-cut strips are great, and save the time and energy of cutting them. **Especially efficient for high volume salons, offering a wide variety of waxing services. * Epillyss Flexi-Pil "New Pelon"
**Flexi-Pil is preferred over Pelon, because it is more flexible. The material is like a paper-cloth and molds well to the contours of the body. The Flexi-Pil makes for supreme results and induces less pain on the client.